The Kansas Freemason Plates have hit the roads and are quickly becoming the distinctive tag of a Mason. 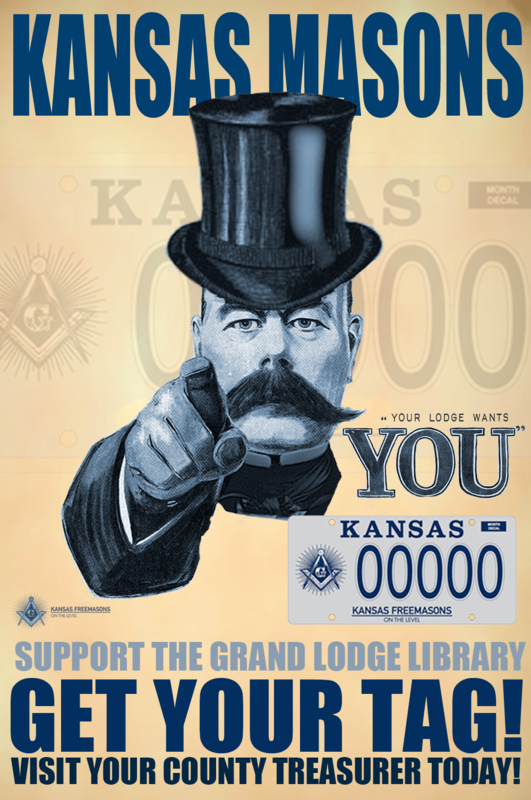 The Kansas Freemason Plate is an official license plate, the proceeds of which help support our Grand Lodge library and Kansas Masonic charities. The Kansas Freemason Plate is available at your county treasurer’s office. The cost of the plate is $25 plus your standard fees and taxes. The additional $25 is forwarded to the Grand Lodge of Kansas for distribution in our non-profit funds.